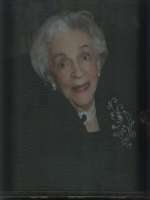 Our beautiful and precious wife and mother, Julia Chavez Lewry (Chata), born March 4, 1926, Phoenix, AZ, passed away March 29, 2010. Julia is survived by her husband of 66 years; Robert L. Lewry, her three daughters; Patricia (Chris) Guss, Georgia (Allen) Grass, and Ramona Jean Lewry. Three grandchildren; Colleen (Thomas) Sprunk, Christopher (Genevieve) Guss, and Christina Grass. She also leaves three precious great-grandchildren; Aiden and Adelynn Sprunk and Christopher Nicholas Guss who will be due in April. Our mother is also survived by her one remaining brother, Oswald (Lalo) Rodriguez, and sister-in-law; Verna Rodriguez, plus several nieces and nephews. 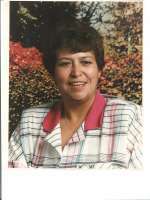 Julia was predeceased by her mother; Severina (Rena) Rodriguez, her step-father Oswald Rodriguez, sister, Alice Elias and sisters in law; Lydia Rodriguez and Sally Chavez. Our mother’s quiet and caring love will be greatly missed by all those who knew and loved her. Visitation 10:00 am -12:30 pm, Tuesday, April 6, 2010 at Whitney & Murphy Funeral Home, 4800 E. Indian School Road. Funeral Mass will be at 1:30 pm, Tuesday, April 6, at St. Mary’s Basilica, 231 N. 3rd Street, Phoenix. Interment will follow at St. Francis Catholic Cemetery. 86, of Scottsdale, AZ died March 26, 2010. Born on September 8, 1923 in Navarre, MN. A US Navy Veteran, Richard is survived by his loving wife Christine Pierson, son David (Jolene) Pierson and step-children Doree Stratmayer and Lloyd Rathburn, numerous grandchildren and great- grandchildren. Graveside Service will be held at Ft. Snelling National Cemetery in Minnesota. Arrangements under the direction of Whitney & Murphy Funeral Home, 602-840-5600. Gerald E. (Jerry) Martin passed away peacefully March 21, 2010 at the age of 69, surrounded by many loving family members and friends. Jerry was born February 22, 1941 in Phoenix, Arizona to T. J. Martin and Ava Wines. A gifted brick mason, he worked in the trade until 1987 when he became Facilities Manager for Interstate Mechanical Corporation, retiring in 2005. He served in the US Army 1960-1966, stationed at the Nike missile site in Rehoboth, MA and with the Armored Tank Corps at Fort Irwin, CA. Jerry’s passion was sprint car racing. 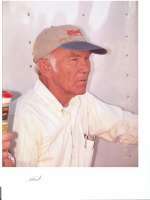 As owner of Streaker Racing he fielded sprint cars for 36 years, including many multi-car teams. He won the SCOA Championship in 2004 and 2005. He is survived by his beloved wife of 50 years, Millie; four children, Lisa, Lori (Dave), Lynda and Steve; nine grandchildren; one great grandchild; four brothers and four sisters. He is preceded in death by his father T. J. Martin, mother Ava Karber, step-mother Pearline Martin, step-father Merle Karber Sr., and brothers Michael Karber and Donald Martin. Visitation is Sunday, March 28 from 5:00-8:00 PM at Whitney & Murphy Funeral Home, 4800 E. Indian School Road, Phoenix. Services are 10:00 AM Monday, March 29 at Christ Church Lutheran, 3901 E. Indian School Road, Phoenix. Graveside Service immediately following at Green Acres Cemetery, 401 N. Hayden Road, Scottsdale. In lieu of flowers, please send donations to Sprint Car Hall of Fame, P. O. Box 542, Knoxville, IA 50138. 85, of Chandler, AZ died on March 22, 2010 in Hospice of the Valley (Ryan’s House), Phoenix, AZ. She is survived by her 6 children; Karolyn van Putten, Hershyl Edwards, Brenda (Orrah) Adams, Hubert (Rick) Dawes, Clifton Dawes, Lorena Smith, 17 grandchildren, 6 great grandchildren and 1 great-great grandchild. Her sisters Thelma Goring & Dorothy Lake and brothers Meade, David, Frederick and Paul van Putten also survive her. Alice was a retired schoolteacher and professional seamstress. Funeral Service will be held at 12 o’clock noon, Sunday, March 28, 2010 at Beacon Light SDA Church, 2602 N. 51st Ave., Phoenix, AZ. Born in Metcalf, Arizona on October 31, 1919, passed away on March 20th, 2010, surrounded by her family. 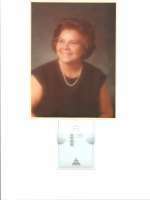 She is survived by her two loving sons Robert (Carol) and Ron (Kathy). Also by her six grandchildren, Robert (Susan), Deborah (Howard), Raymond (Heidi), Josh, Andre, Sophia and 10 great-grandchildren, Chris, Jessica, Alexandra, Samantha, Ryan, Eric, Charlene, Chantal, Chandra and Devon. She also leaved behind many relatives and friends who loved her dearly. We will miss you, rest in peace. Visitation will be from 9:00-10:00 am, with a Rosary at 10:00 am, Saturday, March 27, at Whitney & Murphy Funeral Home, 4800 E. Indian School Road. Graveside Service will follow at 11:00 am, Saturday, March 27 at St. Francis Catholic Cemetery. A Memorial Service for Alfred Sergott was held at the National Memorial Cemetery of Arizona in Phoenix at 11:00 am, Monday, March 22, 2010. He was 94 years of age. He was born in Glen Lyon, PA. and died in Newton, Square, PA. He served in the US Navy and graduated from the Wharton School at the University of Pennsylvania. He is survived by son, Robert, grandchildren Christopher, Erica, Susie, Phila., Sister Irene Ranney, Toms River, NJ, Addie Kushibab, Phoenix, nieces and nephews. 99, a native of Phoenix, passed away on March 18, 2010. She was born Mary Katherine Fleming on November 14, 1910 to Larry and May Fleming. Kitty shared with her family all of her memories of Phoenix in those early years and her memory was sharp and wonderful to experience. She was married to Frank Fernandez and is survived by her children Mary Frances Bowers, Father Frank Fernandez, Jane Stephens along with grandchildren and great-grandchildren. She is now where she has always longed to be, with her creator and those who have waited for her in Heaven. Her spirit, which is forever young, rejoices in finally being home. We will always miss her. Visitation will be Tuesday, March 23 from 6:00-8:00 P.M. with a Rosary at 7:00 P.M. at Whitney & Murphy Funeral Home, 4800 E. Indian School Rd. Phx. Funeral Mass will be Wednesday, March 24 at 1:00 P.M. at Saint Theresa Catholic Church, 5045 E. Thomas Rd, Phx. Interment will follow at Saint Francis Catholic Cemetery. Offer Condolence for the family of VEGA, OLIVIA V.